Still battling with your wardrobe? I was too… until recently. Once upon a time, I loved fashion. I loved “playing” in my closet and planning my outfits. I loved collecting clothes — LOTS of clothes. Then I got older (and fatter) and had better things to do with my time. Now, I’m back — still old, still chubby – but having fun with fashion again. The fun isn’t having tons of clothes to mix a few ways, but working to have a few clothes to mix a ton of ways. Capsule wardrobes, like Bullet Journals, look like an amazing idea until you see how people overdo them. (Don’t get me wrong, I couldn’t live without my Bullet Journal, now that I’ve customized it, but mine isn’t a “junk journal” filled with stickers, cloth scraps and washi tape and such, like many on pinterest and instagram are.) Those, like a cluttered, overstuffed closet, would bring me stress, not peace — and certainly not productivity! What they call a “capsule” wardrobe in most resources I’ve seen are way too “out there” for me. All those tacky patterns and bright swirling colors make me shudder. 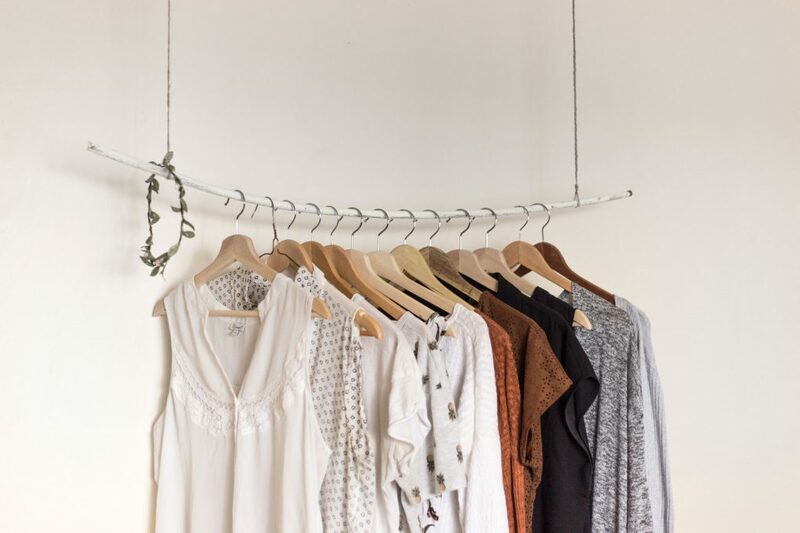 When they call their collection a “capsule wardrobe” and then confess that they have four, or six or MORE “capsules” in their closets or in rotation based on season, I lose faith in the author’s ability to minimize… and to count. Most of the 33-piece wardrobes don’t consist of 33 pieces, anymore than the 10-piece french wardrobe consists of 10 pieces. It’s false advertising, IMHO. I’m not saying this isn’t a serious overhaul of closet space for most people who undertake the challenge. I’m sure it helps to change how they think about clothes and fashion — for those who use capsule wardrobes, are Project 333 enthusiasts, or who build a wardrobe AROUND the 10-piece French wardrobe. If it works for them, Kudos! I’m just saying it’s not what I had in mind for MY closet. I have been on a renewed kick to get control of my closet. It’s not that I had too many items (although I did), it was that I was tired of being boring, wearing all black AND STILL struggling to get dressed each morning. So, in my spare time (every scrap of it for several weeks), I’ve been online doing what I HATE to do — shopping. As an entrepreneur, I can pretty much dress as I please. That “freedom” in recent years has devolved into a black jeans (or dress slacks), black blouse (or button-up shirt or knit top) and possibly a black tailored jacket. Presto – insta-outfit! The problem was, that I never looked quite put together. I experimented with letting jewelry (which I love) serve as the glue for the outfit. It worked on occasion, but usually I just went out looking like I was in mourning. I needed to break up my favorite color — or lack of color — black, and begin to step forward a bit more, visually. I needed to do more than merely minimize my closet, I needed to OPTIMIZE my closet. I don’t like most patterns. Patterns are necessary (to some degree) when designing a minimalistic, capsule wardrobe to keep things from being too “uniform” like and too SSDD (Same Sh*t, Different Day). I gave serious thought to patterns. I determined that if I HAD to have patterns, I preferred the classics: Stripes (usually single width that aren’t too wide and aren’t too teeny), Polka dots (only in small conservative sizes) and paisley. Yeah, paisley — it’s wild, but if the color combos are right, I LOVE it. The problem is, it’s hard to find the right combos. Something I didn’t expect to discover (since I usually despise floral prints in clothing) is that I love some color combos in traditional Liberty cloth patterns. I discovered this when I found a place on Etsy that seemed to specialize in vintage Cacharel brand shirts made of Liberty fabrics. I liked them so much that I’m considering buying one now, at a pretty hefty price, and having it shipped over from France (also at a high price). I discovered that I like sharp contrasts in stripes and polka dots. In polka dots, I like black and white. Period. I also like black and white stripes and cornflower blue and white stripes. And my favorite paisleys or patterns are two shades of the same (or complementary) shades. 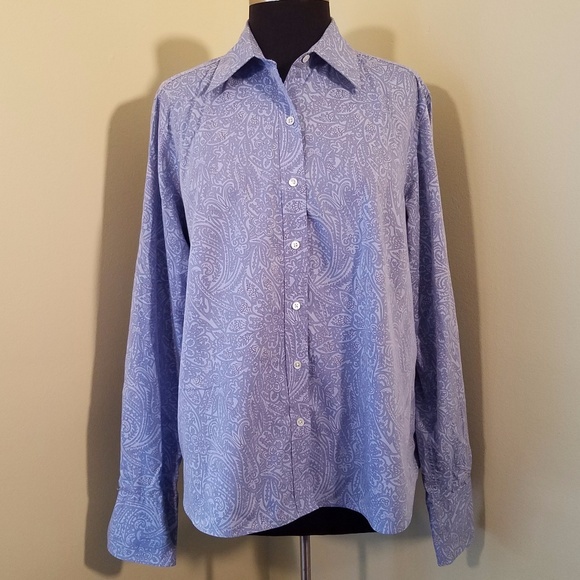 I’m waiting right now on a periwinkle shirt that’s paisley in a light cornflower blue, printed on a background of a darker periwinkle. I think it’s going to be amazing. Time will tell. What patterns appeal to you? Do you like bold patterns, or do you prefer the classics of stripes, hounds-tooth, polka-dots, paisley? 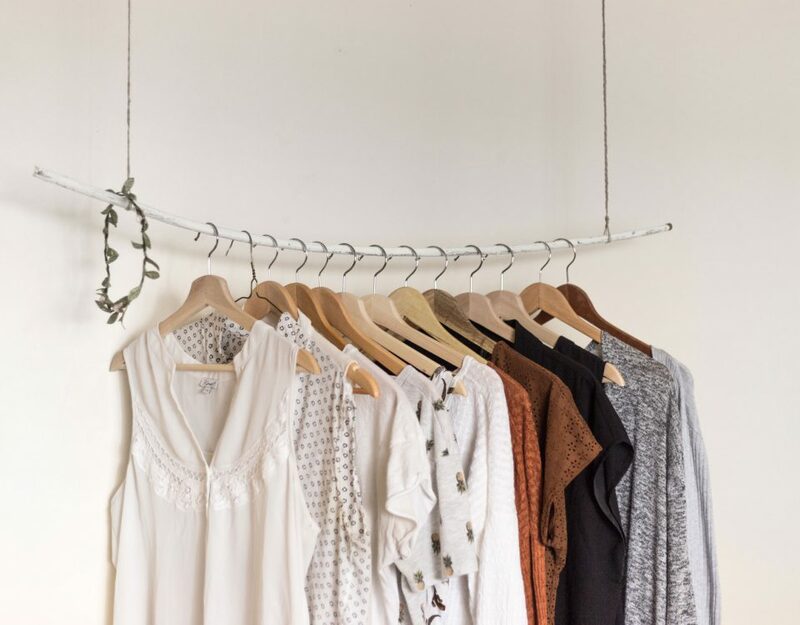 When you select only a few items for your closet, the patterns are as important as the colors, as the cut, as the type of fabric (like easy-care fabrics that feel good against your skin). Before all this, I had looked at a plethora of “capsule wardrobe” examples and had managed to create quite a few capsule-like combos from my own closet. The ones I found online that had patterns were usually obnoxious and those that didn’t were usually boring. Texture didn’t seem to be a real consideration at all in developing these online capsule examples. I love textures — in my home, in graphic design, in art, in nature, in life. So why wouldn’t textures be a big part of my personalized wardrobe? I prefer textures over colors anyday… so I can add “umph” to my closet even without adding a great deal of crazy-making patterns, or eye-piercing color combinations and they will still pull together other pieces and help me to look more polished. Textures are something you will notice more while you wear them than even the color or the cut. If your clothing feels good, you will enjoy wearing it! Textures can also add a lushness, a feeling of quality and comfort that will make a difference in how you feel. Let’s face it, no one is comfortable in scratchy, rough or stiff clothing. Colors were harder. I went through the whole “color me beautiful” thing back in the 80s and didn’t realize then that my “colors” would change. I used to look great in orange, for example and olive green. Now, I look like I’m ill if I wear anything with a yellow cast. Maybe it’s because I stayed tanned when I was younger, maybe it’s just a matter of age difference. As we get older, our best colors can change completely. Mine did, and those colors that I loved in my late 20s and early 30s that looked GREAT on me, no longer looked so good. I realized that my retreat to black had been, in part, a result of losing touch with the colors that work for me. It had even more to do with failing to adopt the colors that delight me into my closet. Taupe, black, dark grays, burgundy, periwinkle blue and grass green were the colors that appealed to me most often. I don’t like wearing grass green. I don’t even like wearing forest or dark green. Lime is out. I used to adore Olive Green, but my coloring has changed and that’s no longer the best color for me. Besides, mixing black and burgundy and olive green would feel like I was dressing like my Grandmother did in the 80s. I don’t want that. So I pulled green out of the mix and tried to determine how to make the remaining colors — an unlikely combination — work. I knew I was enamored with Taupe. I love it so much I have a Pinterest board dedicated to my favorite shades of this grayed beige. Adding taupe, even though it’s considered more of a “neutral” was a no-brainer. It works with everything currently in my closet… you know, all the black and dark gray. Taupe is also a fantastic color for textures because it morphs more than, say, black when textures are added. It gets even richer and more luxurious. It’s not always the easiest shade to find, especially in the recent past, but the popularity was boosted when one shade of taupe was named the color of the year in 2017 by paint company Sherwin-Williams. More clothing options in this color — and different shades of taupe — soon followed. (I like taupe in my environment too, and plan to repaint some of the walls in the cabin in the near future because it’s such a beautiful color!) You may find that the colors you enjoy most in your home are also the colors you will enjoy wearing. I like red nails – and that’s the only color of nail polish I wear anymore. I go with my signature red, or I go bare. Period. Sure, every couple of years, I try another color, but my signature red, Raven Red by Revlon gives me that “can do” feeling. It’s not orangy at all, it’s not pinkish, it’s not screaming candy apple red, and it’s not purplish-burgundy. It’s the perfect red for me. It leans well into the burgundy range, but not in a “I read lots of vampire books and get moody often” sort of way. It’s not vampish or emo. It’s just right. I’m not sure why it took me so long to realize that the same shade of red that I love on my nails was also the color that I would enjoy most on the rest of my body. That same long-time friend complains that it’s too dark, but I love it. She does admit that it’s an improvement over black, black and more black. This shade of burgundy-red brightens my complexion and livens my step — and doesn’t scream. It’s understated, sophisticated and easy to wear. And, it coordinates beautifully with my blacks and grays. Granted, it’s primarily a winter color and finding a way to wear it well in the summer may prove daunting, but that’s ok. This shade of red is absolutely lush for fall and winter. If you like red, but think you can’t wear it, you are looking at the wrong shade. Play with different ones. 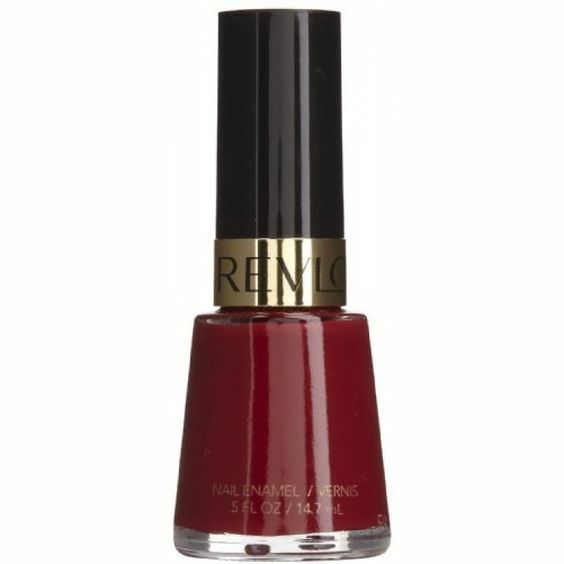 (And I highly recommend you look at any red nail polish you love — or a particular shade of lipstick. If it looks good that close to your skin, it will be a great shade for clothing too! I love the color purple, not plum mind you, but gemstone purple. It’s so regal and rich and polished — unfortunately the royal purple I love isn’t a good color for me in clothing. It was a few years back, but again, as my complexion has aged and my ability to wear purple without looking washed out has vanished. Periwinkle, especially the deeper (but not necessarily dark) hues, does look good on me and delights me nearly as much as purple. It’s a flattering color addition to my wardrobe. I had forgotten how much I love periwinkle — because, as a general rule, I despise blue. Having grown up in Kentucky, that’s a serious faux-pas. After all, I’m supposed to BLEED BLUE. I don’t. I just don’t like most shades of blue and some I actively hate. I do like periwinkle “blue” (in most all shades from uber-light to deep-dark). I like it in solids, in some *gasp* patterns, and especially in stripes. Like the Raven Red shade, I should have known the periwinkle would work based on something I already had that I love. You see, I bought a pair of chandelier style white gold earrings with blue topaz stones last year. I just loved the way they looked. It was the design that captured my fancy. After ordering them, I considered replacing the stones with a more appropriate color for me, to keep the design intact, while making them more “me.” But, the first time I put them on, I fell in love. They were simply lovely. Sparkly and feminine, a touch gypsy and so different from what I usually wear… and the stones, against my dark hair looked more periwinkle blue than sky blue — especially around the outside edges of the stones. These are probably why my mind opened up to periwinkle as a potential clothing color… even if it took months to click. After that exchange, and after working in my closet and bringing in a few new items to try out, it occurred to me that in a minimal closet, to “incorporate” an accent color requires only two clothing items (one solid color and one patterned or textured in that color) and a scarf or piece of jewelry that contains or will highlight that color. With that in mind, I planned to pick up six clothing pieces to add three new colors to my all black & gray wardrobe. Two in periwinkle, two in burgundy, two in taupe. Then, I’d search for a scarf with taupe and periwinkle or periwinkle and black or periwinkle taupe AND black. I’d also seek out a taupe and burgundy scarf with black touches. 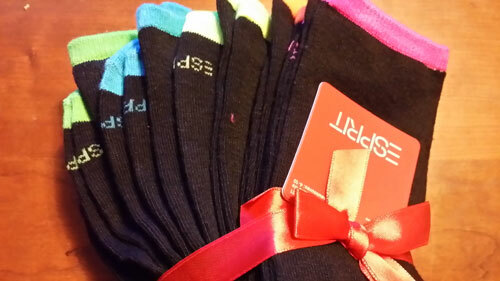 With these eight pieces, I can completely renovate my black & gray into a fully functional wardrobe with color. Once you select your colors, don’t go crazy. Get just one piece of each and see how often you wear each one. If you buy several pieces and find that the color you THOUGHT was perfect isn’t that great, you will reduce the cost of a mistake. I’ve determined that I only need two burgundy pieces to be happy, and I’m probably going to pick up another piece in periwinkle when I’m ready to trade out one of my “basic black” pieces for something more colorful. I’ve had a few near misses with my foray into color. I’ve tossed a few of the “new” acquisitions that were the right color, fit well and flattered because, after two months of hanging in my closet, they were still on “backwards” hangers — indicating they had not been worn. (I also toss anything that I pull out of my closet on three separate occasions and put on, only to think “nah, not today” and return them to the closet.) If not today, then when? Yes, I edit constantly. I embrace the fact that something that is a favorite today may not be my favorite next year, next season, or even next month. If it hangs for more than two months without being worn (with the exception of a couple dressy-formal pieces), it’s outta here! Ready to start optimizing YOUR wardrobe? Great! Select the two (or three) colors you love that also suit you. Then find two items you LOVE (and are flattering in cut and fit in a fabric you love) that are primarily that color – one solid, one with a pattern or texture. Find an accessory or two that works with your new colors. Add these to your basic neutral color(s) and you will find it so much easier to optimize your more focused closet. I decided to play with layers more – thin layers – and avoid most chunky or thick one-season options. I decided to be more bold with mixing and matching my few patterns and textures. I was actually having fun with my clothes again! It became pretty enjoyable to find new ways to wear the pieces I had (with the few I was acquiring) in a multitude of ways. Sure, I’d always heard, everything in your closet should coordinate with everything else in your closet — but the simple way to do that for me was to strip away color — not to learn to play with it and “textureize” it. I even found an android app that helped me to play even when I wasn’t standing in front of my closet. Sure, my “Raven Red” shade of burgundy is probably too dark for spring, but periwinkle would be great for the warmer months. So I decided to work both colors in — even if that meant packing away burgundy in the summer. With just a couple items in this color, packing those away wouldn’t be a big deal. I should be able to fit all my “out of season” clothes into a small tote that will fit in the top of my closet. Simple! NOTE: I suspect that these two gray pieces may be replaced with similar piece in one of my accent colors. I don’t really want to keep gray unless it’s serving me, and serving me well. 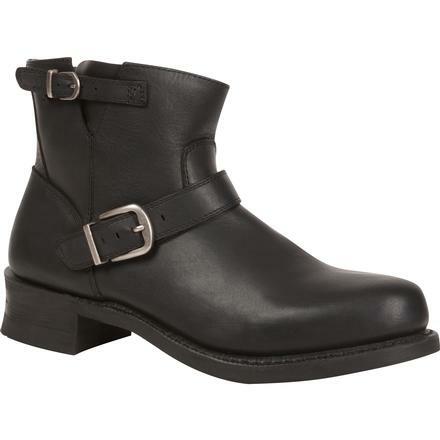 About 20 years ago, I bought a pair of Cole Haan black cowboy boots. They didn’t work in the office setting, but anytime I wasn’t at work, I was in those boots. They gave me attitude. They made me strut instead of merely walking. They made me feel ten feet tall and bullet proof. They were amazing. Isn’t that how the things we wear SHOULD make us feel? Eventually I wore them out. I had them re-heeled once, but then, as I gained weight and the calf became too tight for comfort, I eventually let them go. I’ve missed them ever since. I recently discovered ankle boots. (What in the world took me so long?) I’m in love all over again. They offer the same attitude and the same polished, finished look to outfits without making me feel like my calves are wrapped in a boa constrictor. My newly reduced shoe selection contains: a pair of black tassel loafers, a pair of black wedge pumps, a pair of foldable black flats, a pair of fit-flop clogs (with super-comfy cushioned insoles), and two pair of ankle boots. The ankle boots consist of one chunky pair of men’s Durangos for jeans and one dressier pair — which I will have to replace soon because I’ve almost worn them out! I also have a pair of sandals and a pair of flip-flops for the summer. I disposed of my extra flats, a pair of heels (simply because I always picked the wedges when I needed to dress), my hiking boots (I use my Durangos for such pursuits now — I’m not a hiking enthusiast and the ankle boots work fine when I walk in the woods), tennis shoes (they are so ugly and never ever look like anything more than “slopping-around” shoes) and a pair of chunky-heeled low pumps. I’m keeping only what I really wear. I choose comfort and quality first — ALWAYS. If you have shoes you never wear, no matter how nice they are, consider tossing them. Any shoes that hurt should be gone. There are so many comfortable, beautiful styles now there is no reason to suffer for beauty. It may take time to find them, but it will be worth the effort! I promise. I also love hats. Adore them. So I’ve added a few hats to my wardrobe (mostly for the cooler months) and this one accessory type brings me a great deal of joy. 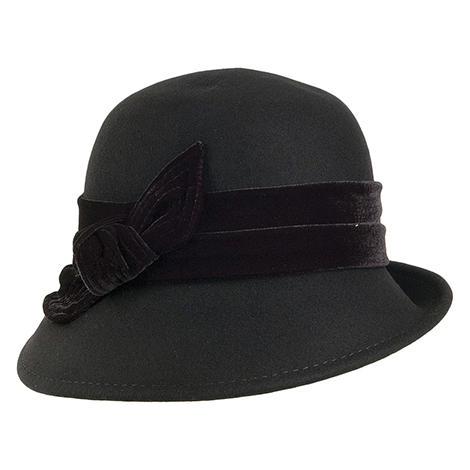 I have one straw hat for summer, two wool hats (one grey fedora, one 1920s style cloche), a fabulous hand-made leather Marlow hat by Voodoo Hats, and two knit newsboy style hats. I may be slimming this collection, since there are only three that I wear often… but it’s hard because I do love them all! I have had scarves, some for decades, and I love them. I seldom wear them, however. Since they don’t take up much space, they have managed to escape my weeding… until now. I’ve realized that no matter how beautiful the scarf may be, if it doesn’t pull together at least five or six outfits, it hasn’t earned a place in my closet. What I have discovered is that the few that DO pull together several outfits are invaluable. I love jewelry. It’s my passion… or it used to be. Now, as I simplify other areas of my life, I’m starting to weed out my jewelry too. I’m not into costume jewelry, so I’ll have to sell the jewelry I no longer adore. It represents a financial investment that’s too big to allow it to sit idle in my drawer. I have noticed that the jewelry that has made the cut is pretty distinctive. It’s seldom “petite” or understated. My jewelry, the stuff I usually wear, is memorable… as it should be. It’s also sterling silver, white gold and platinum. I have very few pieces of yellow gold and only wear one — a bracelet I had made from sentimental jewelry many years ago. Necklaces – I have a 50+ inch strand of gray pearls that seems to go with everything. They reflect whatever I’m wearing and look gray if worn with gray or black, taupe if they are worn with taupe and blue-gray if worn with periwinkle. Because the strand is so long, I can wear it full length and knotted, doubled, or even as a triple strand. It has amazing flexibility, even compared to the other strands of pearls I have that I have loved for years. (I’m kind of a pearl-a-holic.) I have a couple other distinctive necklaces I still enjoy and wear, but most of my collection is gathering dust. It’s time to find them a new home. Earrings – The earrings I love most are a large pair of plain silver hoops, a fancy pearl & diamond drop, and those blue topaz chandelier earrings I mentioned above. I have LOTS of other earrings, but those are never the ones I reach for these days… so it’s time for them to go. Bracelets – I like having a stack of silver bangle bracelets (most engraved or stamped with meaningful quotes), but no longer wear my chain-link, bejeweled or pearl bracelets, so those are going to be put up for sale too. Rings – Although I love rings, I wear three that I almost never exchange for the stack of rings I have in my jewelry drawer. It’s time to weed out the rings and find a home for them with someone who will love them as much as I have over the years, since I don’t give them any love anymore. I’m still in the market for one ring… I’ll know it when I see it. In the meantime, I enjoy searching for it when I’m in the mood to window-shop. If you have loads of jewelry, and you love wearing every piece, keep them. If you have loads, but always drift toward the same few pieces, consider de-cluttering these items as you clear your closet. Having a few perfect pieces that go with the clothes you have is better than having a slew (even if it’s fine jewelry) that you don’t wear. Give the nicer pieces to family, friends or sell them to liquidate your investment for other things you might want now… or in the future. These are the resources I found that worked best on my own journey. I hope they help you on yours! The Curated Closet is a great book for helping to find (or re-discover) your favorite look and/or style. After reading literally DOZENS of books on the subject, I can confidently declare this one the best of show. I’ll give an honorable mention to the Lucky Shopping Manual, not for teaching you how to minimize, but for helping you to look at style options to help find the type of clothing that appeals most to you, what cuts are most flattering and for offering basic, sensible, timeless fashion advice. There’s a highly rated closet app for iPhone users, but since I despise the iPhone and the whole restrictive Apple platform, I had to look for something for my platform of choice. This app, Your Closet – Smart Fashion by ObjectBlaze, Inc. is a freebie. Although it’s kind of a pain to take photos of all your existing clothes, it makes it fun to find new and different ways to mix and match a minimalist wardrobe to extend the looks. It’s more like a game, once you get every item you own in there. I thought I was pretty good at mixing and matching by just pulling things out of my closet, but I was pleasantly surprised by how many great outfits I pulled together on this app that I had never considered in “real life” while standing in front of my closet. It’s like your own personal Polyvore, only with clothes you already have and accessories you already own. 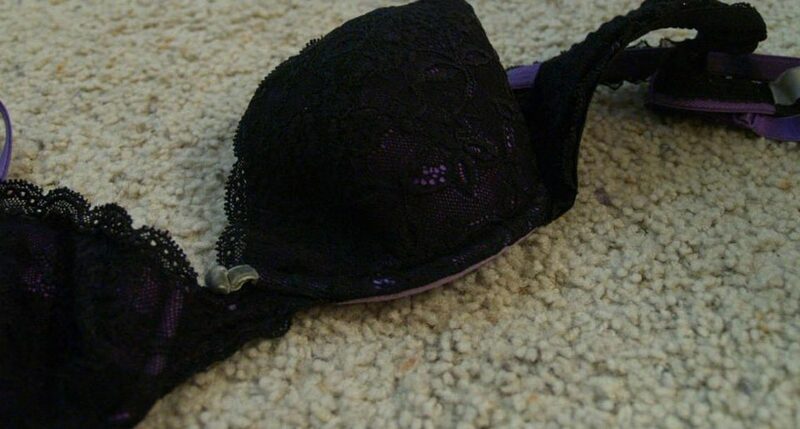 It also is great for helping you find “holes” in your wardrobe and play (without cost) with items that might best fill that void. For me, it helped me to determine that the “all black, all the time” was seriously out of control. Adding just a few pieces of color really expanded my options and I could see that immediately on the Your Closet app. With the book, that one website and the app, I was able to combine my mini-wardrobe in new and exciting ways — and I discovered that I didn’t need many clothes to have a LOT of options – as long as I selected carefully. I didn’t need all the things I *thought* were essential — and it made it easy to see what was missing. For instance, when I loaded up all my “must have” items from my closet, I noticed that (despite my purchase of a few burgundy items) my closet was REALLY black on the inside. (That’s when I decided to re-evaluate my colors and I added periwinkle.) I also noticed that some similar items needed to be culled, even though I had already ditched several items from my relatively small wardrobe. ThredUp has been a god-send, simply because it was a fantastic way to try on new styles, shapes and fabrics without commitment. If I like an item, great… I add it to my closet. If not, I send them back for “store credit” — an option that eliminates shipping fees for returned items. I could usually get free shipping to me as well – with a coupon, a special offer, or by buying enough to “earn” free shipping. And, since it’s a consignment deal, I can feel good about not supporting fast fashion, while locating high quality pieces AND saving money all at the same time. YES! With that said, once I got a few pieces from ThredUp that really worked, I was brave enough to go for online stores and even PoshMark.com for a few additional items. For items that I need that I don’t find in one of these locations, I buy retail. This means that the savings I gain from shopping thrift makes it easy to pay full price on those rare occasions I need something and can only find it in retail locations. I go for quality, no matter where I buy. Overall, it has helped me to feel better about me — All day, every day.